A designer handbag is a purchase you'll never regret. While some investment bags will actually earn you money over time, indulging in a brilliantly designed, quality accessory will act as the luxe full-stop to your outfit—no matter what you're wearing. But as we know, designer handbags don't come cheap. Apart from the slew of fledgeling, mid-priced labels (such as Danse Lente and Staud), prices have been on upwards trajectory for years. Want a slice of Gucci or Prada? You'd best be prepared to part with four figures. Which is why we've created this guide. 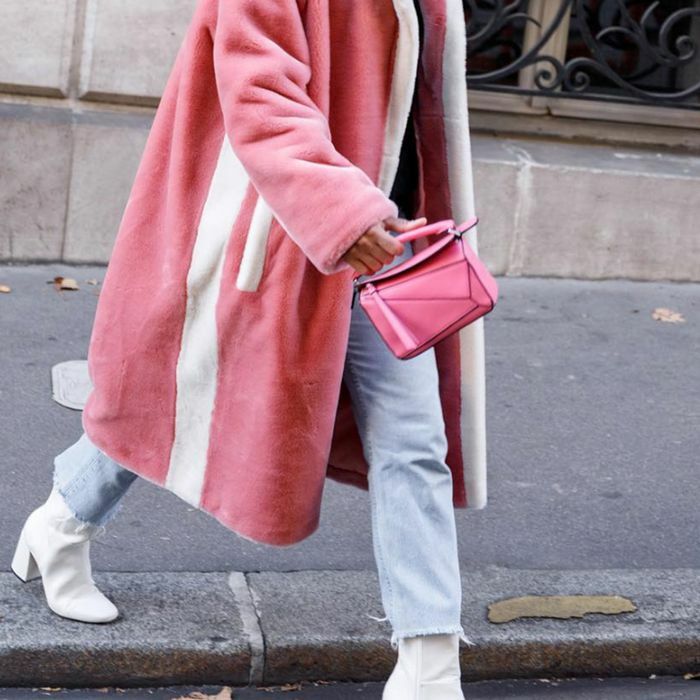 The majority of designer bags have longevity, so it's possible to land a designer bag at up to half the retail price and still feel like you've made an entirely current purchase. However, if you're after a booming must-have but can't stretch to it, consignment retailers are your best bet. There are a few sites we regularly check out, from the outlet divisions of e-tailers to websites where old-season Proenza Schouler and co. are looking for a new home. They're too good not to share, so check out our recommendations below. Bargain hunters will already have The Outnet bookmarked. Although it's a clearance site, it's a chic one—and with over 800 bag styles alone to choose from, the selection is plentiful. Expect Valentino, Chloé and just about every other brand in the luxury market. The smaller the bag, the more fun it is to go bold. Shoulder bags are simmering their way back up the fashion charts. Match your bag to this season's must-have print: leopard. Vestiaire Collective is our go-to for pre-loved fashion. But before you start recalling that saying about someone's trash being another man's treasure, forget it. There's certainly no trash on this site, and not only is everything authenticated before it's sold, but it's also the place to snap up the must-haves that are only a season or so old (in addition to more classic finds). Many insiders use the site to cash in on a piece they've used only a handful of times to fund their next purchase, so you can stumble across a gem you perhaps couldn't stretch to when it was full price. This Chanel bag has been proven to keep its value. A cult clutch with £200 off the RRP. This will forever have you traveling in style. Paris-based Monnier Freres is the e-tailer to know when it comes to accessories. But when your budget is a little more modest, its Outlet section will be your best friend. With over 2000 styles currently listed, you're literally spoilt for choice. London Fashion Week star, Ilincic's bags are like works of art in their own right. The larger size of this style was a cult buy. Wear with grey coats come winter and with denim in spring. Just hear us out on this one. Admittedly, you have to have the enthusiasm of a Boxing Day sale shopper to sort the good from the bad in T.K. Maxx, but its website tells a different story. Head for its bag section and you'll find Prada, Proenza Schouler and a ton of Marc Jacobs, many of which are just a few seasons old. You'll either be snapping one up because you really wanted it the first time around, or because you've just found the rucksack/clutch bag of your dreams. Marc Jacobs's rucksacks aren't only super-desirable, they score high in practicality, too. The mini size, the timeless print, the brass logo… It's an irresistible combination. German-based Rebelle is a bit like Vestiaire Collective except it's particularly good for vintage Gucci, Chanel, Hermes and Louis Vuitton. You can rest assured that you aren't buying anything counterfeit and that the quality is top-notch. Be warned: Prepare to spend a lot of time browsing this site. Gucci's bamboo top handle will never date. 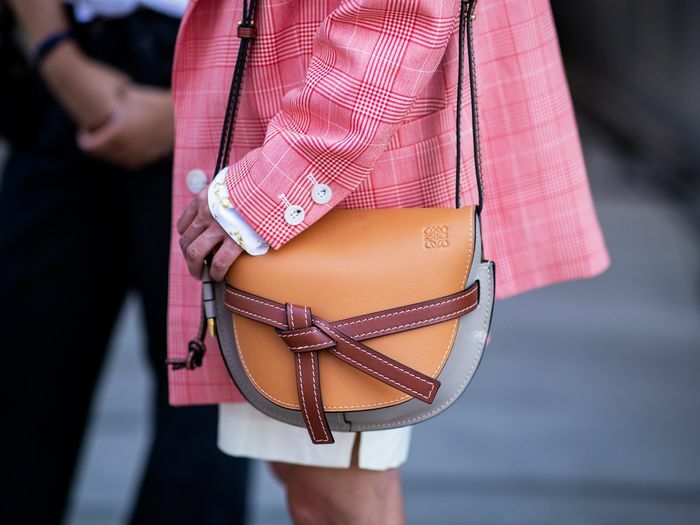 In Hermès orange, this crossbody will add a colour pop to denim separates. Céline's Nano looks just as good as it did when it was launched several years ago. As the name suggests, London-based Hardly Ever Worn It is a marketplace for preloved designer goods in mint condition. In fact, some come with a handy alert indicating that the item has never even been used. Prices on this site tend to be more accessible (e.g., £400 for an unused Victoria Beckham tote), so it's the place where you could really land yourself the ultimate discount. Discreet and elegant, this bag will become a year-round staple. 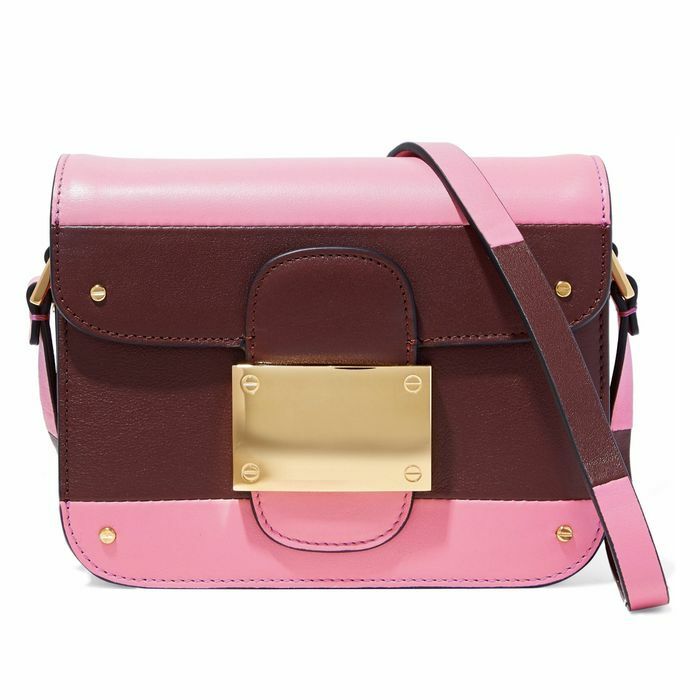 Victoria Beckham's bags are a thing of beauty. Planning to spend all your money on a bag? Here's where you can get expensive-looking shoes.